The Prodigal Returns is available on this site as a free eBook written by Father Peter Farrington. 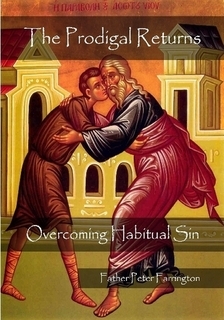 It presents a description of the Orthodox spiritual life as a means of beginning to break the power of habitual sin of all kinds. 2 Responses to "The Prodigal Returns – Free eBook"
Barekmor. Thank you very much Abouna! I really wanted to get a copy of this book, but on Lulu, an ebook was not available for purchase, and at the time I was living in a place where shipping was very expensive on a student budget. I really appreciate that you not only made the ebook available, but also sharing it free! May God bless your Divine Ministry.